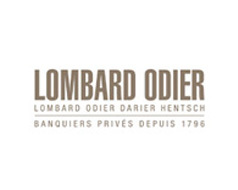 Mr. HENTSCH, your firm Lombard Odier is one of the Swiss members of the Henokiens Association. Could you introduce yourself to our readers ?  « Each of us brings his own share of funds and experience, which we dare to hope should earn us your trust ». Could you introduce your Firm and its activities ? > CH. : Our Firm is currently active in nearly 20 countries with a staff of around 1,900. Our main role is to advise clients on the management of their assets. This involves a smart approach to investment and expertise in various legal and succession matters. Our size and international presence allow us to advise our clients and identify investment opportunities throughout the world. We also manage the assets of large pension funds, in addition to creating and distributing investment funds. What have been the key events for your Firm in recent years ? > CH. : Naturally, the financial crisis triggered by subprime mortgages had a considerable impact on the banking sector as a whole. Although we felt the negative effects of this crisis like everyone else, our experience and our specific business model enabled us to ride it out without taking too many blows. As we have never invested in an excessively risky manner and have survived over forty crises over the course of our history, we have been able to guarantee high security to our clients and promote our business model to a broader public, who immediately understood our strengths. Could you say a few words about your major projects in the fairly long term ? > CH. : In practice, our adaptability and foresight require us to bring answers to questions that arise and will continue to arise about globalization and the impact of finance on the environment and society. Among other things, we develop innovative funds that are based on themes such as demographic change or the growth of emerging countries. We manage the risks of these funds in accordance with our own stringent standards. What are the reasons behind the longevity of your Firm ? > CH. : The desire to only perform one business and not to scatter our efforts is undoubtedly crucial. The values inherited from our predecessors – especially their long-term vision and sense of responsibility – have definitely also played a key role. Our history contains wonderful examples of wise decisions, and it is our duty to pass on the values on which these decisions were based. Is the extraordinary longevity of your Firm a major factor in your relationships with your clients ? > CH. : It's indispensable. Relationships between Private Bankers and their clients depend on the trust the bankers can instil. Our longevity enables us to present facts to our clients, rather than sweet-talking them. It proves our strength and our ability to make appropriate decisions. Do the traditional values underlying your Firm's strength also offer advantages in terms of research and innovation ? > CH. : Our values require us to continually adapt and anticipate future events; they therefore require us to be innovative. This has always been the case - from our support for the construction of railways in the 19th century to topical issues such as demographic change, which we need to take into account. In your opinion, what are the biggest pitfalls that your Firm needs to avoid in order to retain its independence ? > CH. : We don't look at the matter in these terms. Our independence is simply essential for our business model. As I said before, we have developed effective, innovative skills in the area of investment funds to ensure that we will never have to depend on other establishments to offer attractive solutions to our institutional clients. Has your family's desire to maintain the Firm's independence over the centuries called for difficult choices ? If so, can you describe some of them ? > CH. : As I said, we have never had to deal with any threats to our independence, as we have always taken an upstream approach to this kind of situation. On the other hand, we have made decisions that guaranteed our independence in a lasting manner. Is the transfer of your Firm to a member of your family governed by clearly established rules ? > CH. : Of course we have rules, and above all, a clear objective. Indeed, a successful transfer combines family legitimacy and personal merit. We remain a partnership, and that is how our Firm can ensure its durability. Is the new generation already at the Firm ? > CH. : Yes, the sixth and seventh generations of the founding families are represented at the Firm. Would you have a message for all those who wish to set up their own family business ? > JT. : I don't think you can create a family business. You create a company and it becomes a family business by growing around the values of its founders. It's not a product of design; it just happens. Successors to a family business need to be sincere, genuinely compliant with the company's values, and enterprising, keen to move forward and not to preserve outdated ways.